Is the company and its applicators license? 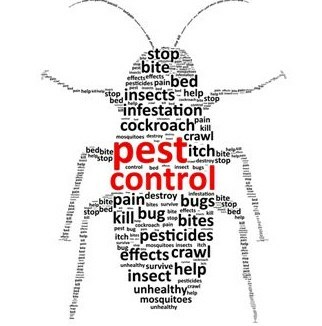 Any person or business that sells pest control services must be licensed by the Pesticide Control Program of the NJ Department of Environmental Protection. These include indoor and outdoor pesticide applications, as well as pet grooming services. Get their license numbers and call us to verify. They should have both a business and certified applicator license. Is the company willing and able to discuss the treatment proposed for your home? the phone numbers for agencies that can answer questions about potential adverse health effects on the pesticides to be used. Is the company able to provide an integrated pest management (IPM) program which includes routine monitoring for pests? Make sure that the “IPM Service” offered is legitimate and not just a marketing slogan used by the company to get your business. Any company, including those advertising themselves as “green,” should inspect your premises and outline a recommended control program, including the pests to be controlled, extent of the problem, and non-chemical alternatives available. These include a combination of site remediation, physical, mechanical, and biological tactics. Indoor sanitation is an important part of pest control. Chemical controls should be used only as needed, not on a routine basis. Does the company have a good track record? Ask neighbors and friends. Have they dealt with the company before? Call the Better Business Bureau or local consumer office and find out if they have received complaints about the company. Does the company guarantee its work? You should be skeptical about a company that does not guarantee its work. In addition, be sure to find out what you must do to keep your part of the bargain. For example, in the case of termite control treatments, the company’s guarantee may become invalid if you make structural alterations to your home without giving prior notice to the pest control company. Is the company affiliated with a professional pest control association? Professional associations keep their members informed of new developments in pest control methods, safety, training, research, and regulations. Members agree to honor a code of ethics. The fact that a company, small or large, chooses to join a professional association signals its concern for quality. You and the company of your choice should develop the contract together. Your safety concerns should be noted and reflected in the choice of pesticides to be used. These concerns may include allergies, sensitivities, age of occupants (infants or elderly), resident pets and treatment near wildlife and fish. If you hire a pest control firm to do the job, ask the company to use the least hazardous chemical method available to do the job. Wise consumers get bids from two or three companies and look at value more than price. What appears to be a bargain may warrant a second look. Hiring a company to take care of your pest problem does not mean your job is over. You must evaluate the results. If you believe something has gone wrong with the pesticide application, contact the company and/or the NJDEP Pesticide Control Program. Be a responsible, wise consumer and keep asking questions until your pests are under control. Adapted from the EPA’s Citizen’s Guide to Pest Control and Pesticide Safety. 2 Responses to "How to Choose a Pest Control Company"